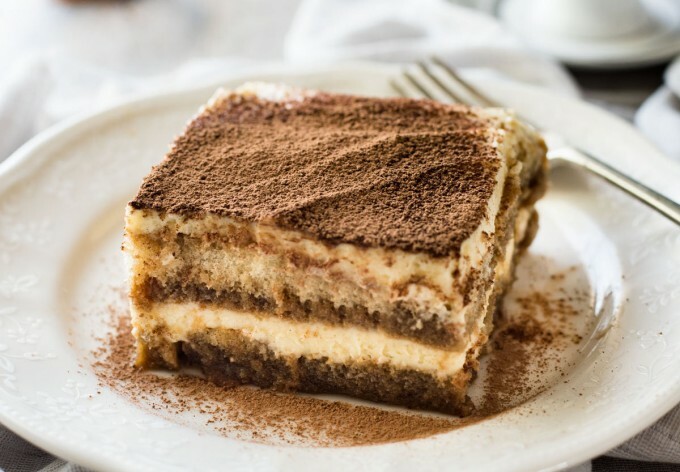 Fortunately, the guardian angel of happy marriages reminded me that Faith might feel a little more loved and special if I chose a dessert she likes … something like tiramisu, which is her favorite dessert, not cheesecake, which is one of my favorite desserts. So, I put the cheesecake down, and started looking for tiramisu. And here’s where I got in trouble. I thought, “If buying Faith tiramisu is good, then making her tiramisu will be amazing.” So, I did some quick homework on my phone looking up tiramisu recipes, and headed off to a smaller-than-CostCo-sized grocery store to buy the ingredients. A couple hours and $60 of ingredients later, I’m standing in our kitchen intensely focused on creating my very first tiramisu masterpiece. But this thing was fancy! It required ingredients I had never heard of. It involved dozens of non-trivial steps. I’m whipping and separating and doing other things to ingredients that I don’t understand and had never heard. The recipe even called for baking utensils we didn’t own. But no worries, I’m a smart guy and I’m determined. So, I improvised and worked hard and eventually … and we’re talking another couple of hours later … the oven timer chimed to indicate my baby was ready! I dropped my book, raced excitedly to the oven, and pulled out … a Pyrex vat of sweet soup with lady finger floaters. It was totally inedible, and we literally ended up throwing it away. 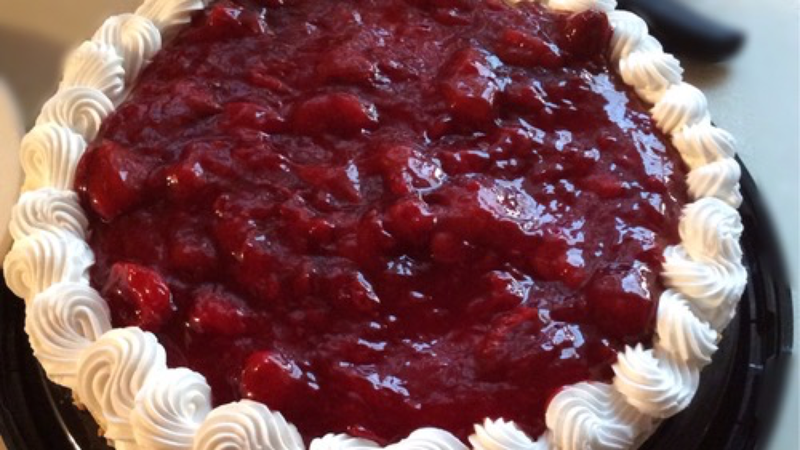 As it turns out, I didn’t have the right ingredients, I didn’t have the right utensils, and I didn’t have the skill to interact with them properly anyway. Then I tried to substitute improvisation and hard work for the right skills and tools, and that made things worse. I had bitten off more than I could chew, and disaster had resulted. So now, on Faith’s birthday, I have a standing date with one of our favorite Italian restaurants, where I purchase take-out tiramisu, baked by a professional, and it’s absolutely perfect every time. And as silly as that story is, I think it begins to illustrate what God is teaching us in the passage today. So, keep my failed tiramisu experiment in mind, let’s pray, and then we’ll dig into God’s word together. Father in heaven, thank you for calling us together today under the priceless instruction of your word. None of us in this room needs my knowledge or skill or ability this morning. What we need is you. Speak to us. Open our hearts to see you and comprehend your truth and to obey your word. Many of us have heard the stories we’ll be discussing many times. Protect us, Lord, from carelessness and over-familiarity and distraction in these next moments. Cause us to attend carefully to your word and to take it seriously! Holy Spirit, fall afresh on us. Do in us what we cannot do for ourselves, that we me might take your word to heart and put it into practice. We submit ourselves to you today that you might be glorified in us. Have your way in this message and in this service and in our lives, we pray, in Jesus’ name. Amen. If you don’t have your bibles open to Luke 18, please get God’s word in front of you now. Again, our Scripture for today is Luke 18:9-30. Please follow along for yourself as we work through this passage. Those who fill themselves, God will truly empty; those who empty themselves, God will truly fill. I believe Luke is showing us three scenes from the life of Jesus which teach this principle in different ways. So, we’ll walk through each scene, consider the audience, the characters, and what Jesus is teaching in each, and then pull it all together and apply it to our lives. 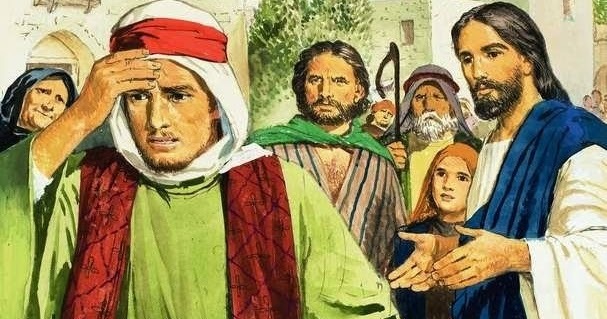 Here, Luke explicitly tell us (in v9) that Jesus is speaking to “some who trusted in their own righteousness, and treated others with contempt.” We get the picture of a group of people who spend their days secure in the confident assurance that a) they’re the right kind of people, and b) others are the wrong kind of people. In case we’re having trouble visualizing the kind of person for whom Jesus intended this story, the Pharisee in the story provides us with a clear example. 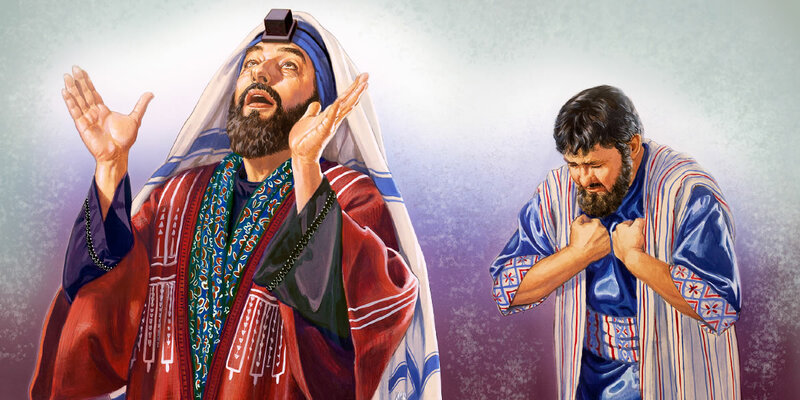 In Jesus’ day, a Pharisee was a leader in both the local synagogue and the community at large. The modern equivalent might be someone who is both an elder in the church and who serves on the city council. He might even be a prominent leader in the business community. In any event, this is the kind of person of whom people take note when he walks down Main Street. Everyone expects great things from him. Young people about town want to be like him when they grow up. Etc. He’s also done good things with his life, and avoided many of the sinful choices that have tripped up others. The problem is that he knows it. In fact, he feels good enough about his life that he is totally justified in his own mind to be standing in judgment over the other person who happens to be at temple with him this afternoon. This guy is a tax collector. Frankly, people in Jesus’ day viewed tax collectors pretty much as the scum of the earth. In that time, if you were an unscrupulous person who wanted an easy way to amass wealth and power could petition Rome and bid on the position of local tax collector: “If you make me the tax collector in Galilee, I’ll get you 100 talents from this town every year.” If you’re the highest bidder (and/or bribe or blackmail the right people), then you get the job. So, with Rome’s blessing and the support of the military, you now have a blank check to squeeze as much as you can out of your local town – as long as Rome gets their 100 talents a year. Maybe you can pillage your friends and neighbors for 300 talents, and if you do, you get to keep the rest. Now that is a lucrative business! And there’s nothing that says you have to charge everyone the same amount, so you are free to adopt special friends-and-family discounts for one person while arbitrarily gouging the next. And the icing on the cake is that this guy is betraying his fellow Jews to the Gentile Roman oppressors who invaded his homeland, and getting rich in the process. To put it mildly, the people originally listening to this story absolutely hated tax collectors. So, what happens in Jesus’ parable? The Pharisee a pious Jew, is the good guy here. He draws up to his fully height, squares his shoulders, and basks before the Lord in his own personal righteousness. Great idea! Let’s contrast this with the tax collector. In contrast with the Pharisee, he’s on his knees off at a distance. He won’t come all the way up to the altar or even look up to heaven. He’s literally beating himself up. 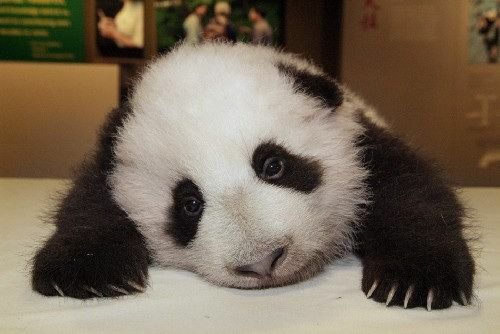 He’s ashamed and sad. Maybe he feels trapped or regrets his life, but doesn’t see a way out. Maybe he knows he’s weak and corruptible and just not strong enough to “be good” … like that Pharisee over there. Maybe it was just last night that God used someone or something to finally get through to him after all these years, and now he’s kneeling at the door of the temple in true repentance at long last. We don’t know. But what we do know is that right now, at this moment, he is acutely aware of his sin and asking God to have mercy on him. Jesus, watching this drama unfold, turns to us to explain it. We would expect Him to set the Pharisee up as a good example and condemn the sinful choices of the tax collector. But Jesus doesn’t say what we’d expect Him to. In fact, it’s exactly the opposite. He declares that the tax collector “went down to his house justified” (note the perfect passive form), and implies by contrast that the Pharisee will not. Doesn’t that seem completely backwards? I mean for someone who doesn’t know Jesus very well, this sounds utterly ridiculous. And even those of us who have walked with Jesus for a long time – if we’re really honest – might be tempted to see this as unjust somehow. From a bunch of different angles, the Pharisee has done everything right and the tax collector has done everything wrong. Is Jesus seriously telling us that God discounts all the good works this Pharisee has done just because he got a little cocky about it? … and that all this betraying, thieving tax collector has to do is show up at God’s house and beg him for mercy, and somehow all is forgiven? But how does this work? Why is it true? First, because no one can earn God’s approval, except Jesus. One of the reasons we’re so taken aback by this story is that we think God should be grading on a curve. Because we judge the Pharisee to be “better than” the tax collector, we think God should too. But He doesn’t. In God’s economy, there’s “perfect” and there’s “not perfect.” That’s it! Every grade is pass-fail. There are no curves or scales or shades of gray. Whatever it looks like on the surface, everyone fails the perfection “test,” so there is no one who is good enough for God. Period. Put another way, the anyone who tries to build a life of righteousness and worthiness before God, does not in fact have the ability or the ingredients or the utensils to do so. You might think you do, but you don’t. Even if we’re smart, improvise and work hard – just like I did trying to make Tiramisu for Faith – in the end, we just don’t have what it takes to build a heaven-bound, godly life. If we want that life, we must receive it from Jesus. He is the only one qualified to create that life in us. Just like I learned my lesson, gave up trying to make Tiramisu, and now get it from a professional, so we must learn our lesson, give up trying to build a life worthy of God, and receive that life from Him. Secondly, I think we find Jesus’ assessment of this scenario to be shocking and disconcerting, because we don’t take the cross seriously enough. The reality is that Jesus’ sacrifice is the only way to God. Like the Pharisee, it’s possible to walk around expressing to God in our hearts that we’re amazing and that He owes us for all our great deeds and hard work. But this attitude communicates that the cross of Christ is unnecessary. It tells God that we’ve got this life handled on our own. We are exalting ourselves. And if we do, then God will pour out all our righteous deeds and consider them worthless compared to His brilliant holiness and the profound value of Jesus’ sacrifice. Meanwhile, the Tax Collector is a much better role model for us. He knows he has nothing to offer God. He is humbled. He acknowledges his emptiness before God, and calls out to God for mercy. And therefore (assuming it is genuine), Jesus says He will receive it. 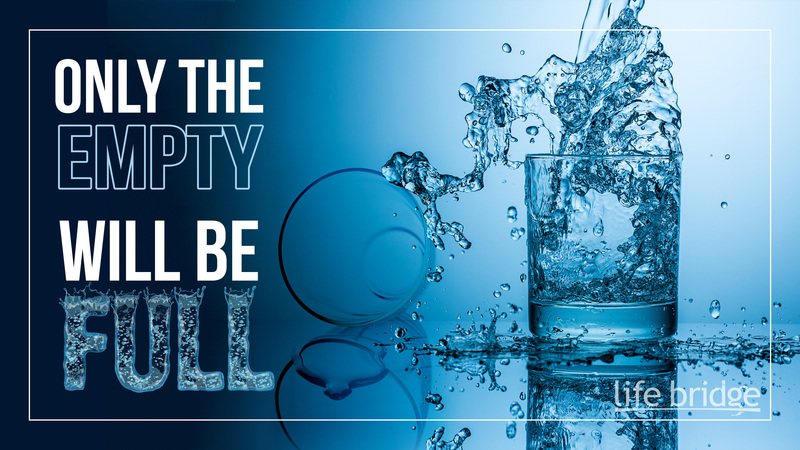 He is empty, so God will fill him up. This is the life of the Christ-follower … to acknowledge that we don’t have what it takes to be what God wants us to be. Only God can create in us the life we were meant to have. We don’t look to our good works to please God and empower us to live the Christian life; we look to God’s Spirit to empower us because Christ gave His life for us. Does all this mean that the Pharisee’s good deeds are somehow invalidated? Does it mean that he shouldn’t have bothered to make good choices? Should he have chosen a life of laziness or even sin, because it’s all up to God anyway? Absolutely not! In fact, Scripture teaches us that God saves us explicitly so that we will do good works … so much so that He planned them for us before the creation of the world (Ephesians 2:10). The point is that Jesus is focused on the heart. The Pharisee’s problem isn’t in doing righteous deeds, but in trusting in his righteous deeds, in assuming that he has made himself great by his righteous deeds, and in his readiness to condemn others as unworthy and beneath him because they lack his righteous deeds. His focus is in entirely the wrong place. It’s not wrong to do right, it’s wrong to believe that doing right earns God’s love or makes you better than others or gives you the right to condemn them. The real danger the Pharisee is flirting with here is dismissing Jesus’ sacrifice on the cross as unnecessary, and considering the tax collector to be outside the reach of that same sacrifice. In contrast, the true redeeming quality of the tax collector is that he has thrown himself, as bad as he is, on God’s mercy. The question for us is the same as it is for them: Do we really believe that the sacrifice Jesus made is our only hope to go down to our homes today justified? Can we truly say that we’re trusting Jesus, not ourselves, for the everyday conduct of our lives? If we chase after righteousness on our own, we will not catch it. If we trust our own righteousness to hold us up, it will not do to. But if we chase Jesus and put our full weight on Him, then no matter what else it costs us, God will fill us until we are unimaginably full … adopted, enjoying heavenly citizenship, and reclining with God at His table forever. Working hard to be righteous isn’t our goal. The Christian life is about Jesus’ righteousness, not mine. Jesus’ disciples are the audience of this second scene. It’s not just the 12 disciples closest to Jesus, but probably a much larger crowd around him. This crowd breaks down into two groups. Some are bringing their small children to Jesus that He might bless them and pray for them. Others are trying to screen Jesus’ calls, and stop group 1 from “bothering” Jesus. Then there’s Jesus, who rebukes this second group of disciples and encourages the first. Jesus is neither too busy nor too important for the children or for their anxious parents. And that brings us to the children themselves. They aren’t portrayed here as taking much initiative; rather, they’re kind of dragged along by their parents to see Jesus. But Jesus doesn’t say that the Kingdom of God belongs to the parents of little children who bring their kids to receive a blessing. He says that the only way to enter His Kingdom is to be like the children themselves. So, what does that mean? What’s really going on here? First, we see a group of disciples – parents – coming to a local Rabbi in search of a blessing for their children. This was commonplace in Jesus’ day. Second, we see a group of disciples who feel they are in a position to manage Jesus’ schedule and control who comes to Him. They see themselves as having the inside track compared to the others in the crowd, and on their own initiative, they just start turning people away. Jesus is too important. He’s too busy. He’s got time for me, but not for you. He’s let me into His circle, but now that I’m on the inside, the circle is full. Now, it shouldn’t surprise us that they get themselves in trouble speaking for God here. And that’s exactly what happens. Jesus makes it clear that His time is for everyone. His Kingdom doesn’t have self-appointed insiders or membership qualifications that exclude certain groups of people. 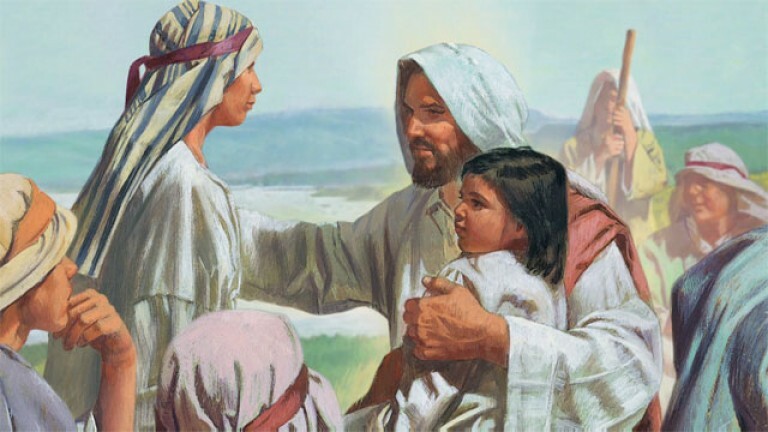 And the result is that the kids and their parents are blessed, and the other disciples learn a valuable lesson. Why not? What does this mean? I think this is an intentional contrast between the children and the disciples who were turning their parents away. These folks thought they were smart enough to manage the Kingdom and its purposes. But the children aren’t trying to be clever or manage anything. They’re simple. I can picture their eyes sparkling as they sit on Jesus’ lap and He engages them in conversation and laughs with them and makes funny faces and prays for them. They don’t know what it means that He’s a prophet. They’re not trying to control everything going on. They just love being with Jesus. Little children have a whole different way of looking at the world. They don’t try to figure out what mom and dad do at work all day or how they’re going to make mortgage payments. Little children just want to sit on your lap or listen to a story or snuggle in bed or play a game. Little children just want to be with their fathers. And that’s God’s vision for us as well. God isn’t looking for quasi-equal partners or department managers or a competent ministerial staff. He wants to adopt rebellious street kids and make them children of the King. The problem is that we don’t see ourselves as simple and dependent children, but as mature adults who have moved out, are independent, and have everything under control in our own right. Think about how close that comes to saying that we will ascend the mountain and make ourselves like the Most-High (Isaiah 14:13-14). Beware! God delights in using the simple things in this world to confound the wise (1 Corinthians 1:27). God might very well pour out all our self-inflated “knowledge,” so that He can teach us who He really is on His terms. And if we’re too sure of our maturity, we might even find that we have no share in the Kingdom we think we know so much about. Instead, let’s learn from these children, and simply come to Jesus. Because if our joy comes from just being with Jesus rather than trying to figure everything out all the time… If we make a point of letting Him figure out the hard stuff and simply trust Him to get it right… Then, Jesus says, the Kingdom of Heaven is for us. Working hard to be wise isn’t our goal. The Christian life is about Jesus’ wisdom, not mine. Again, the audience here is Jesus’ disciples. There are probably also at least some “disciples” gathered around the ruler as well, waiting to see what answer Jesus gives to his questions. So, who is the “ruler” Luke mentions? First, he seems to respect Jesus and be His follower at some level. I don’t get the impression that he’s been sent by the Jewish Elders to trap Jesus with trick questions. In fact, in Mark’s version of this story (c.f. Mark 10:17-30), the man “ran up and knelt before Jesus” to ask this question. So I think his question is genuine; he’s one disciple among many. But he’s no commoner. He’s a “ruler” of some kind, a secular leader, and the text clearly says that he is “extremely rich” (v23). Matthew (c.f. 19:16-29) adds that he is also young. So, he’s rich, young and enjoys significant earthly authority. The other person in the scene is Jesus Himself, who, from an earthly perspective, has very little of the wealth and power the other man enjoys. Of course, we know that Jesus enjoys supreme authority, and the “rich, young ruler” must have at least some inkling of that authority, because he has come to get an answer from Jesus to a burning question. I suspect this young man, whom the world would say has it all, has come to Jesus to ask this question because he is haunted by the fear that “having it all” isn’t enough. It’s conjecture, but I think in his mind, he sees Jesus as the one holding the keys to unlock his next conquest. I can imagine his listening to Jesus teach, thinking, “Surely as gifted as I am, Jesus can teach me how to get in on this Kingdom of God thing.” I think the man fundamentally believes that his earthly wealth (and prestige and power) are the tools he will use to amass for himself heavenly wealth (and prestige and power), and wants Jesus to tell him how to do that. But then Jesus drops the bomb. And whatever elation this man is feeling evaporates instantly. Rather than showing him how to take his success to the next level, Jesus explains that the secret to going forward in the Kingdom of Heaven is going backwards on earth. The man thinks that his current wealth and power are the platform on which he will build a tower to heaven. (That sounds familiar; see Genesis 11:1-9). But Jesus tells him that no tower he could build on earth can reach heaven or will remain in eternity. Instead, what would really benefit him is to dismantle what he’s already built, give it all away, and then follow Jesus. THEN, God will make eternal life accessible to the man completely and totally out of Jesus’ resources, not his. The difficult truth is that earthly wealth is not helpful in attaining heavenly wealth; in fact, it’s likely to be a hindrance. In this world, it’s easy to fill ourselves with earthly riches that cannot last because we don’t understand what true wealth really is. Jesus corrects our thinking. He explains that to take care of the poor and follow Jesus … that is the real treasure. But the rich, young ruler can’t accept that. He’s too enamored with what he already holds in his hands, so when Jesus offers to hand him something of far greater value … eternal value, he is unable to receive it. His assumption is that he can have it all, but he’s wrong. And our culture says the same thing; it’s wrong too. We assume that we can add eternal life onto the pile of all the material possessions and experiences that we “have to have” in this life. Now, I’ve heard it said that “it’s not a problem to own things; rather, it’s a problem when your things own you.” This sounds good, and I would say it’s probably true. But the problem with this line of thinking is the deceptiveness of the human heart (c.f. Jeremiah 17:9-10). We fail to appreciate just how weak and sinful we really are. The reality is that it’s much easier for your things to own you than you think it is. Put another way, it’s easier for a camel to pass through the eye of a needle than for you to accumulate earthly treasure and escape its owning you and interfering with your accumulation of heavenly treasure. Working hard to be rich isn’t our goal. The Christian life is about Jesus’ riches, not mine. I’d like to take the remaining time we have together this morning to consider three questions which I hope will help us apply all this to our lives. 1. Does this square with the broader teaching of Scripture? First, I consider this to be a challenging passage. I find it convicting, and spent a lot of time wrestling with it as I prepared this message. Particularly in circumstances like that, when the message is hard and it’s tempting to want to get out from under the glare of the light Scripture shines on our hearts, this is an important question to ask. How should I understand this passage in context of the broader teaching of Scripture? Does it square? 2. Where am I in these stories? Secondly, a vital step in applying these concepts is to see ourselves in these stories. Especially if you’ve been a Christian for a long time, I think it’s easy to assume this message is for someone else. I think it’s also possible to be so deeply ensconced in a particular worldview or to be confident that you’ve got your life under control. Maybe we’re tempted to read these stories as moral lessons or metaphors, not as something demanding our immediate attention and sober response. In other words, it’s possible to brush a message like this aside as not applicable, not practical, or not realistic. This mindset is exactly the danger Jesus is warning us against in these parables. The bad news is that we’re all in these stories. These three stories show us the everyday challenge of every person’s life. And if you reject that statement… If you can’t see yourself in these scenes, then that’s really bad news. Because it’s the person who doesn’t think this message applies to him is the person who most urgently needs to hear it. But the good news is that God’s divine power has granted to us everything we need pertaining to life and godliness (2 Peter 1:3). We are radically dependent on God for everything that matters. And God will come through for us, if we cast our cares on Him. So, once you do see yourself in these scenes, and you come to Jesus, you’ll find that He’s enough for you. That leads us to my final question. A former pastor of mine used to ask the question, “What will now be the manner of your life with regard to these things?” I love that question, and it too is essential for application. And so is it with us. Jesus is inviting us here to fundamentally reevaluate what truly matters in life. If you’re working hard at some imagined answer to Peter’s question… If you’re pouring yourself into being good enough or smart enough or rich enough for God (or anything or anyone else), it’s time to let that go. It’s so easy to make our lives all about what we can build. But Jesus is exactly saying that this approach won’t work. Life isn’t about being strong and in control. The Christian life isn’t about building our lives, it’s about submitting to God, so that He can build His life in us. It’s about being with God – walking with Him in the garden in the cool of the day. Therefore, Jesus invites us to set down all the things we have in your hands, and just run to Him. We will stand amazed at what He builds in and through us. See, we have left our homes and followed you. Father, there’s something in us that desperately wants control. We want to build our own lives, and realize our own dreams, and figure out the world on our own terms, and be sufficient out of our own resources. We want to see ourselves as strong, when we’re weak. And we confess that we too often fail to submit our lives to you and simply trust that you are in control of every facet of our lives and our world. Instead of achievement, Lord, you have given us the task of relationship … to worship you and walk with you and listen to your voice and follow where you lead us. Everything else will flow out of that. As we go forth today, help us to remember that. Do in us what only you can do, Lord. And we’ll trust you to do it, in Jesus’ name. This entry was posted in Bible Stories, Sermon and tagged God's Wisdom, Humility / Brokenness / Spiritual Poverty, Jesus, Jesus' Disciples, Kingdom of God, Man's Wisdom, Pride, Righteousness, Teachings of Jesus / Parables, Treasure in Heaven. Bookmark the permalink. I SO need to remember that!